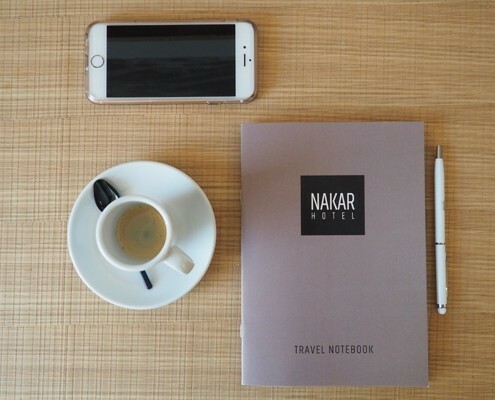 Nakar Hotel's travel notebook: take your memories with you! When at Nakar Hotel, you know that we always take good care of you. But there’s more to Nakar than just offering a luxury-stay in Palma de Mallorca. We also want you to discover the city and soak up the Palmesan lifestyle as much as possible. That is why we actually created our blog and, even more, our Palma-guide. You’ll find recommendations about everything you can possibly be looking for: restaurants, places to visit, beaches nearby, activities, what not to miss, where to have an ice-cream and so much more. And as we have found that many of our guests are more than happy to follow our recommendations, we want you to know that you have another little tool available for you to make the best of your stay at Nakar Hotel. It’s the ‘travel notebook’. Even though we love the internet and (of course) social media, we sometimes are kind-of old school for some things. And that’s the case with taking notes. If you’re keeping a diary, if you’re thinking about coming back, if you know somebody who’s coming to Palma or simply if you like to keep your memories with you, you’ll love the notebook. We put a notebook in every room for you to write down your impressions about Palma, make a shopping-list or just use in the way you want to. You’ll have all your pics with you on your phone or camera, so just make the experience in Palma complete by using your own words to describe places, sensations or even draw some pictures of the things you see around here. 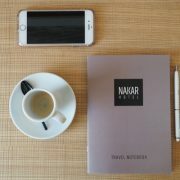 Get creative and take the #Nakar travel notebook with you!